As automotive icons go, none can match the Porsche 911. The early 20th century had Bentley, Bugatti and Ford, the middle belonged to all American brands and then the Japanese and Germans moved in. 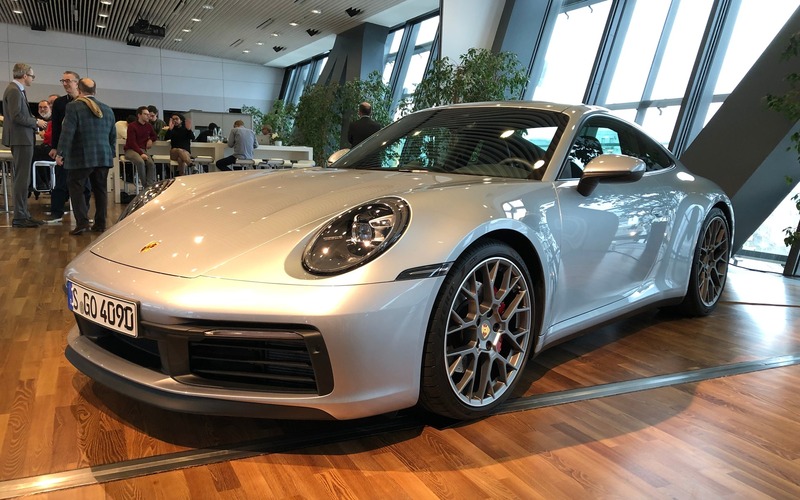 Throughout the decades and models, interest faded in and out for these products and while this could be argued to the end of time, the Porsche 911 is the sole exception. The Porsche 911 has never followed trends—this could be the reason why it transcends tendencies and survives as a true evolution of the original concept established some 56 years ago. Portions of its design and engineering have, since the beginning, been flawed, but this has pushed Porsche to surpass pre-conceived limitations and create what is arguably the most revered sports car in the world. This has not happened by accident. 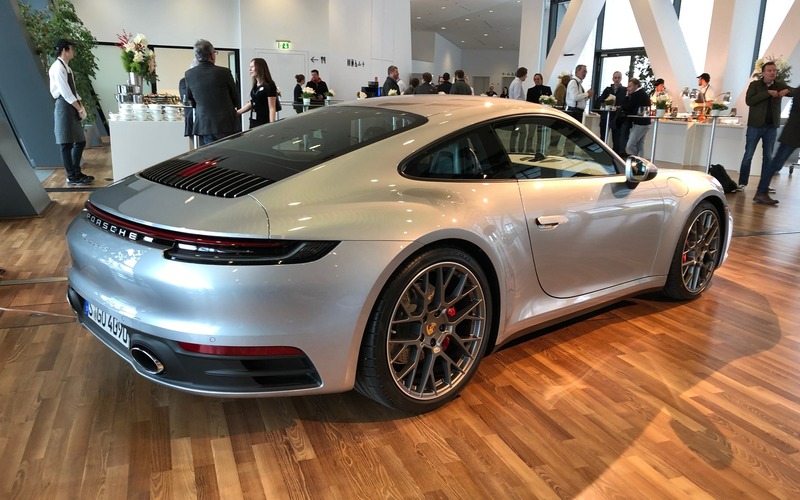 As part of the deep dive into the all-new eighth-generation 992 Porsche 911, I was exposed to a series of workshops that explained why the Porsche 911 has achieved its cult status and, more importantly, how and why the new 992 is the greatest, most complete of its kind ever. Much time was spent on extensive attention to detail and quality control that goes into producing this car. The final automobile is a result of a process that begins very early in the new product’s development. From the moment anyone lays eyes on the new 911, there can be no doubt that this car has attained a new level as a result. Think of it as a familiar yet evolved shell over a chassis and powertrain that are now doctorate-holding, power-lifting supermodels that have the answer to all of life’s mysteries. The new MEB platform brings with it more possibilities through lightweight materials, new bonding procedures and a 5% drop in weight over the 991 it replaces. Many structural changes debut in the 992 and perhaps the most interesting is the fact that the engine is now mounted directly to the chassis’ longitudinal members instead of on a crossbar. This important yet somewhat mundane change significantly limits engine vacillations that are typically transmitted to the car. On top of this, the engine now sits 20 cm further forward than previously, which moves mass closer to the middle of the car. This intricate detail matches the new 911’s impressive and revised cabin. The previous 991 generation was the first 911 to feature luxurious touches beyond the normal high-end functionalities expected in this car. The 991’s immense success proved to Porsche that there were gains to be made by taking notes from the Panamera and Cayenne. Porsche 911 purists might disagree with the broadening of the new 911’s appeal. However, they need not fear a drop in performance or that compromises were made to bring the 992 more in line with a GT car. In fact, and in true Porsche fashion, the new powertrain is not only more efficient than ever, but it’s more powerful. The twin-turbocharged, 3.0-litre flat-six cylinder returns, but with a list of enhancements that would require a book to list and explain. 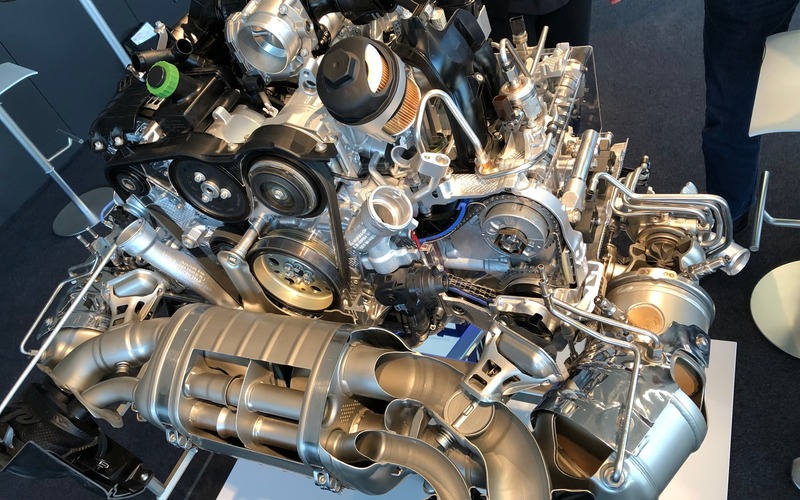 The noteworthy aspects are new larger, symmetrical turbos, top-middle mounted and larger intercoolers, a higher compression ratio, reduced friction, improved cooling and an augmented fuel system with piezo injectors. Bottom line is 443 horsepower at 6500 rpm and 390 lb.-ft. of torque between 2300 and 5000 rpm. Another piece of news is the arrival of the new eight-speed PDK dual-clutch transmission. Fret not as a seven-speed manual gearbox will return in time! This new PDK becomes a pivotal piece for the present and future of the 911. It is configured to handle up to 800 Nm (590 lb.-ft.) of torque and most importantly, is hybridization ready. Yes, a hybrid 911 is coming and although no details were shared, we anticipate that it will be quite the performer. While I did not drive the 992, I was a passenger in the car on a portion of the track at Hockenheim. The seasoned Porsche driver wasted no time demonstrating how responsive the steering, uprated Bilstein-developed adaptive dampers and new chassis have become. Generous prods of the accelerator are met with instantaneous thrust which are immediately scrubbed off by the new electronic brake booster. The cold weather and cool track seemed to have no negative effect on the immense level of grip. This is explained in part by this Carrera 4S’ optimized front axle drive which is able to handle more torque thanks to improved cooling, and the must-have, incredible rear-axle steering system. 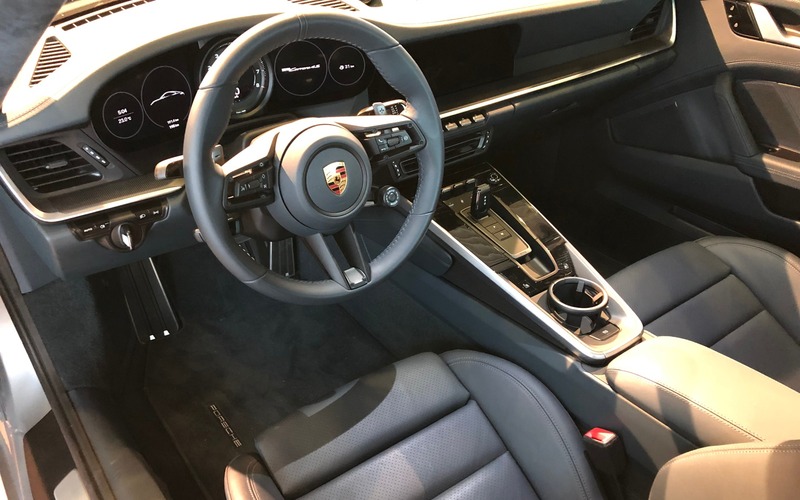 One of the most talked about innovations included with the new 911 is the Wet driving program, which features sensors that detect wetness on the road. Once the conditions are recognized, the system informs the driver and recommends manually switching to Wet mode. Believe it or not, but this whole story barely begins to scratch the surface of what makes the new 2020 Porsche 911 tick. A future driving opportunity will present itself and when it does, will surely unlock the remainder of the 992’s not-so-secret secrets. We look forward to diving even deeper into this epic automotive icon.